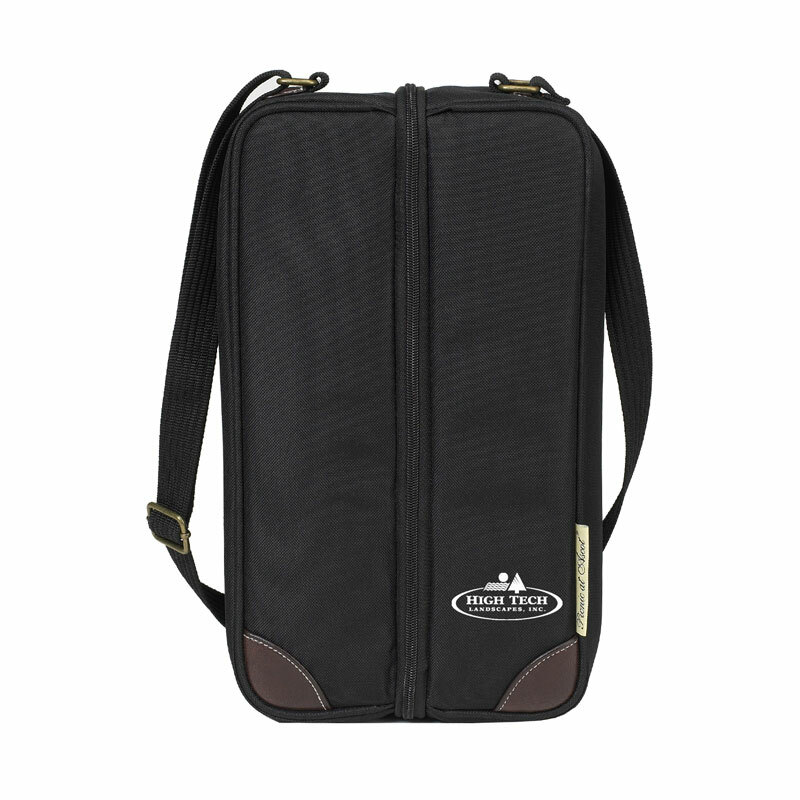 Sleek and sophisticated, the Coffee and Tea Tote is uniquely designed for two and makes a great gift. 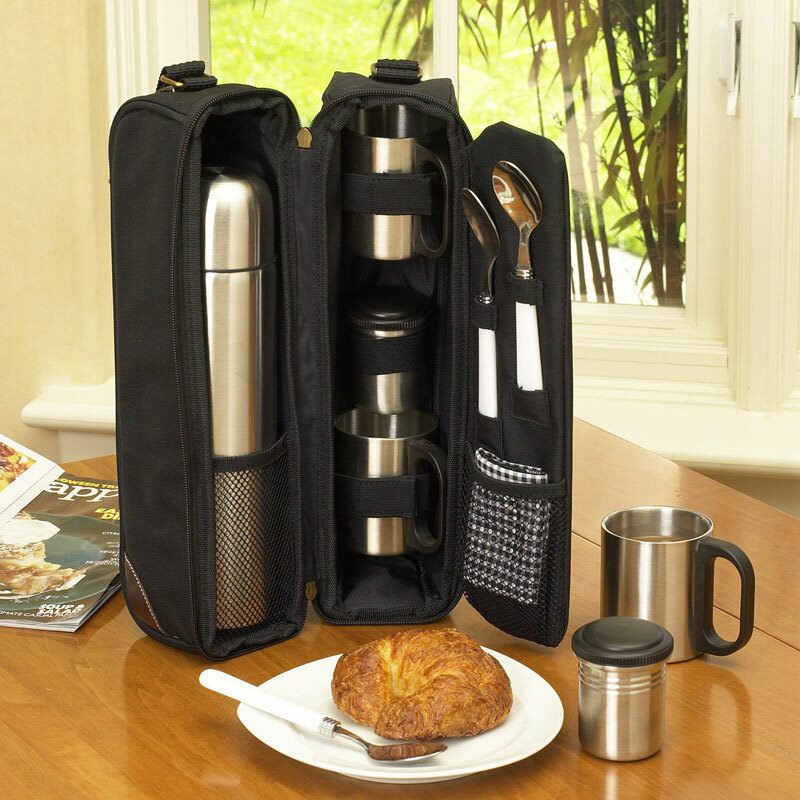 Contains brushed stainless steel vacuum flask (24 oz), insulated double walled cups and creamer, spoons and a napkin. Designed and assembled in the USA. Lifetime warranty.